Welcome to award winning, Spanish Property Choice and The Garner family as featured on Channel 4, Sun Sea and Selling Houses. Just to tell you a little about our long standing family run business. First and foremost we are fully registered, Real Estate Agents who specialise in Property for Sale or Rent in Almeria and all surrounding areas. We opened our head office way back in 2007 and to be honest, it seems like only yesterday, how time flies when you are enjoying yourself. This vibrant, very busy office is located in the pretty and popular resort of Mojacar, located on the coast of Costa Almeria, Spain. We are also blessed to have two further offices, one is in the very traditional Spanish town of Albox and our latest office is in the vibrant main town of Huercal Overa. Having offices that are located on the coast and further inland allows us to cover a wide area and affords our clients a more diverse portfolio of properties in different locations. Over the years our extensive portfolio of properties For Sale or Rent in Almeria have expanded dramatically to suit all budgets and tastes, which now cover not only private villas, apartments, penthouses, townhouses, cave houses, farmhouses, park homes etc, but even more diverse as we are always thinking out of the box for our clients, we are proud to say we can offer something no other local agent can. Through our hard work and reputation, we have managed to secure "Exclusive Partnerships" that allow us to offer our clients, Echo Pods/Homes made to order and also Motor Homes for sale or rent. Exclusive to Spanish Property Choice clients. How cool is that? What can we do for you?.......... Spanish Property Choice offer you our experience, we have been right where you are now! Many of you will know us from the TV show on Channel 4 Sun Sea and Selling Houses and will know and have seen that we don´t take ourselves too seriously, as life is too short, however we do take our business and our job very seriously. How can we help you?............... We offer a wide range of independent property services which include, legal, financial and relocation services for you the consumer. We are the one stop property shop! What are you looking for?......... If you are looking to buy or rent a house or even a motor home here in Costa Almeria, Spain, we can offer you one of the largest selection of Decree 218 compliant, independent property portfolios. 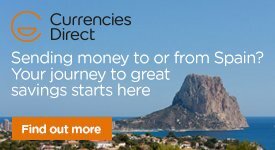 Unlike many local agents, Spanish Property Choice have an independent portfolio which means we have properties exclusive to us only and our Costa Almeria properties are contracted to us, not just shared through multi media outlets. This allows us to keep complete control on what is advertised to make sure you are protected and there are no hyped up prices to cover multiple agents commissions. Who are we and what makes us different to other real estate agents in Andalusia? ........ We are a long standing family run business with a proven history and reputation built on traditional family values and customer care. We offer you our clients and vendors a transparent and professional service at all times. Our doors are always open to you and there will always be a warm welcome from any of our offices. We put ourselves out there on UK TV as we have nothing to hide and after 3 series, 70 x 1 hour episodes hopefully feel you will now know, not all agents are sharks and charlatans! Some of us really enjoy what we do and care for our clients. We are not perfect! no company is! However we try hard to go that extra mile for our clients. 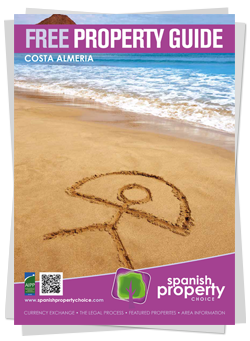 The Almeria properties we have for sale or rent located inland or coastal are all fully Decree 218 compliant. This decree became law in 2005, and governs registered estate agents in the province of Costa Almeria only. There is also a new document now required on properties built or reformed on rustic land called an AFO. So if you are looking to Purchase, Sell or Rent an Almeria property in the areas of Mojácar, Mojacar Pueblo, Garrucha, Vera, Vera Playa, Turre, Villaricos, San Juan de los Terreros, Aguilas, Bedar, Los Gallardos, Alfaix, Antas, Arboleas, Albox, Zurgena, Taberno, Huercal Overa, Puerto Lumbreras, Velez Rubio, Velez Blanco, Oria or the Almanzora Valley, then why not visit us in our Mojácar, Albox or Huercal Overa offices for a fresh approach to property sales and consumer confidence. With our many years of experience in selling or renting a properties in Almeria, you can be assured of a quality of service second to none. We have 13 members of staff who are experienced within the industry and each member of staff are trained within their sector of the business and are here to help you! They can guide you through the sometimes difficult process of buying your new home here in Almeria. We are there from start to finish and our doors are always open! Should you be looking for an investment property in Almeria or maybe you would like to start a new business venture, or use your existing professional skills and now require commercial premises, then please contact Stephen on coastal@spanishpropertychoice.com who will be able to assist you in finding your ideal business or advise you on any potential gap in the market here in the Almeria. The beautiful province of Costa Almeria offers a diverse landscape affording you both awe inspiring coastal sea views and breathtaking rural mountain views that would stimulate anyones imagination. Almeria property sales and rentals through Spanish Property Choice could not be easier and we would like to invite you to take a look at our portfolio and browse the information and services pages where we hope you will find all the information you require to either purchase, sell or rent a property here in Costa Almeria. If you would like straight forward knowledgeable and more important experienced advice from our family business please contact us now. You are very important to us! Warm regards from The Garner family and all staff at Spanish Property Choice, Mojacar, Albox and Huercal Overa.